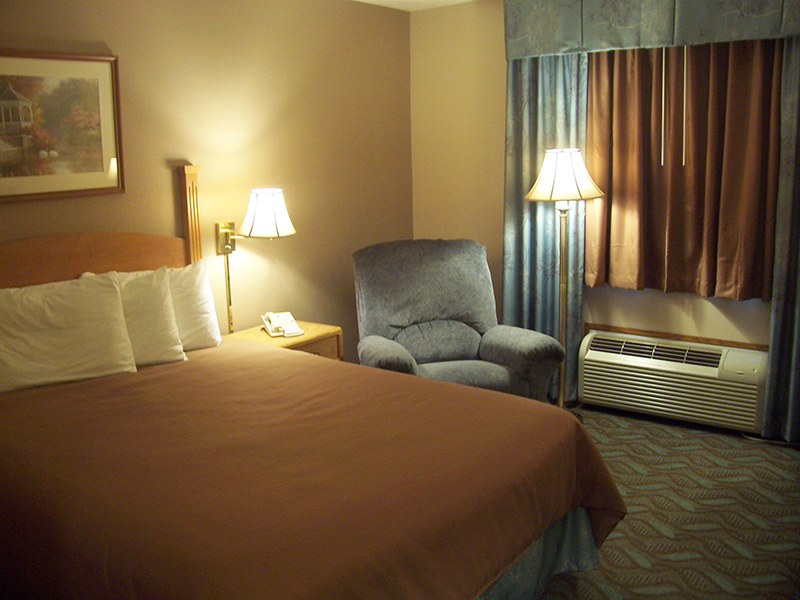 We at the Super 8 of Monroe are concerned about the community where we do business. We are committed to continuously evaluating our operations to set goals and take specific actions towards environmental, social, and economic sustainability. This process involves a long term commitment to benchmark our present situation, set goals for improvement, achieve those goals, and then repeat the process looking for new opportunities. We are the only hotel in Wisconsin to be certified by Energy Star. We scored 95 points out of a possible 100! In the future comparisons can be made to check improvements. Based on our current situation the following improvement plan has been initiated. We try to engage our employees and guests in making a positive impact on our environment. For information on Travel Green Wisconsin as it applies to this facility, please contact the Front Desk. For additional information on “green principles” ask the Front Desk for “Green Information”. We also encourage your input. 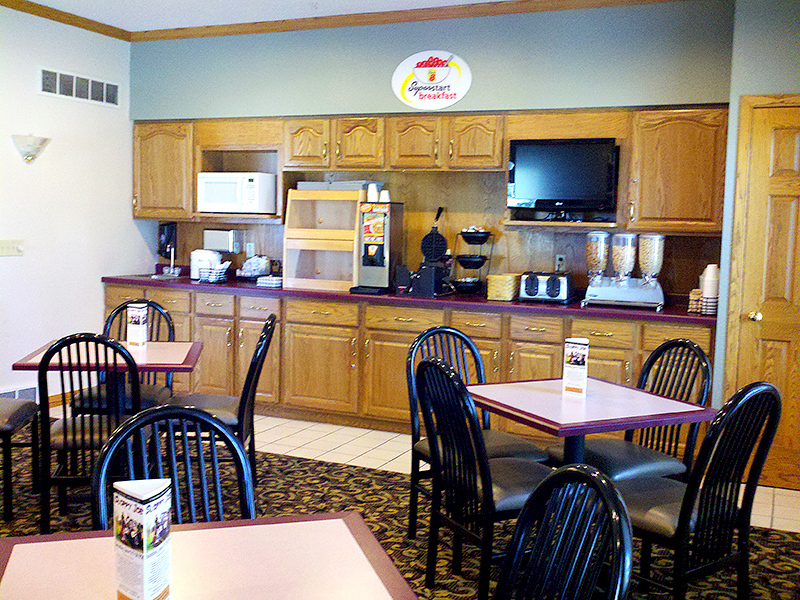 If you have suggestions as to areas you would like us to improve, please leave those suggestions at the Front Desk. If you appreciate our approach, give us your vote of confidence. It is our honor to serve your needs. Minimizing the amount of waste that goes to landfills will reduce negative environmental impacts as well as limit the amount of greenhouse gases released throughout a product’s lifecycle i.e. extraction, manufacturing, distribution, use and disposal. We currently recycle fluorescent bulbs at the end of their useful life. Hazardous materials are properly identified and disposed. To minimize the impact on our landfill, laundry detergents, cleaning supplies, and certain food items are purchased in bulk or recycled containers. We implemented a guest room recycling program and ask for your cooperation and participation. Our hotel refrains from using plastic bags to package purchased or free items given to guests. Newspapers are not automatically given to guests but are available in common areas to peruse. Lastly we donate food, furnishings, fixtures, and linens to local charities if possible. We have integrated energy efficiency and conservation practices into our operations to conserve natural resources and decrease operational expenses.We have participated in energy efficient programs and audits conducted by Focus on Energy, a third party organization sponsored by our local utility companies. As a result of these audits, the following initiatives have been taken. 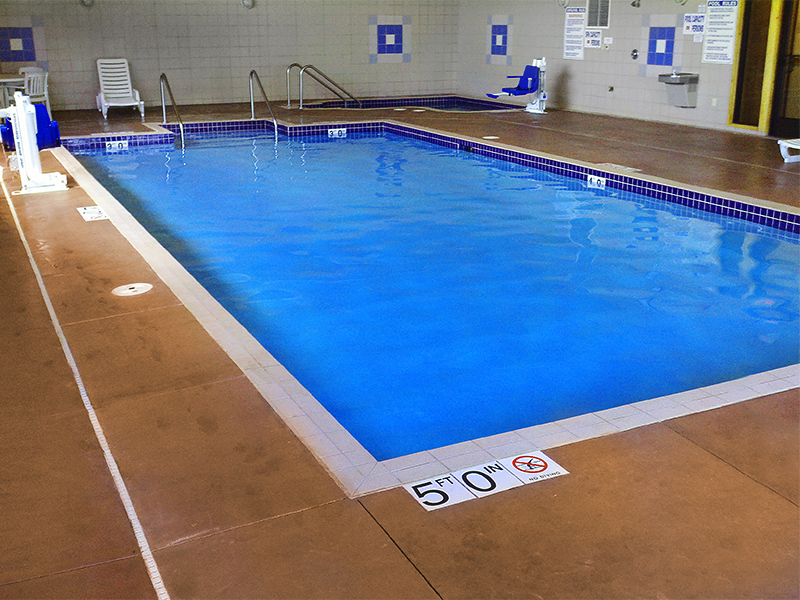 Reclaim heat from dehumidification from swimming pool area to heat whirlpool. Linen reuse program – THIS INVOLVES YOU, OUR GUEST. – This program allows you to choose whether to have sheets and towels washed daily. Follow the instructions on the card in your room. Large areas like parking lots are swept or vacuumed instead of washing with water. Equipment which uses water (hot water heaters, dishwashers, ice machines, washing machines, and faucets) are on a yearly PM program to maximize water usage and are run at manufacturers suggested levels of operation. YOU CAN HELP US by pointing our leaky/dripping facets or running toilets. Please contact the front desk. Dishwashing detergents are biodegradable and do not contain nitrilotriacedic acid or chlorine. Grass is usually not watered. Shrubs, flowers, and trees are watered in dry times only and only from dusk to dawn. Plan ahead and prepare – try to anticipate all of your needs at all times during your stay—food, drink, emergency equipment (call phone) etc. Field guides for bike, ATV, hiking, and snowmobiling trails are available at the Front Desk. We also have an area map with local attractions in this website. Please contact us for further information. Air and ground transportation are the largest contributors of greenhouse gas emissions that affect our global climate—so while you are here walk if possible. If alternate transportation is needed (taxi, limousine, bus) contact the Front Desk for help. Bicycle transportation routes are available. If you did bring your bike, we offer secure overnight storage. Unless you request scenic routes, all road directions will be given to minimize travel distances. We practice the concept of “Green Purchasing” by purchasing locally produced products and services when available through locally owned businesses. We also support businesses that promote fair trade practices and are socially responsible with regard to contractual agreements, exploitive or discriminatory practices. The aforementioned nine areas of action demonstrate our commitment to improve our community’s environmental, social, and economic sustainability by employing a comprehensive “Green Philosophy”. Our hotel has received national and statewide recognition for their “Green Initiative” and is certified “Green” by Travel Green Wisconsin. Ask for a guided tour, we are a demonstration site for Midwest Renewable Energy Association. How can you help? Let us know how we are doing. Leave your comments and suggestions about our program at the Front Desk. Use the template of this program to start your own “Green Initiative”. Let us know how you are doing! Remember a “Green Philosophy” is a long term commitment and one that involves continuous improvement.